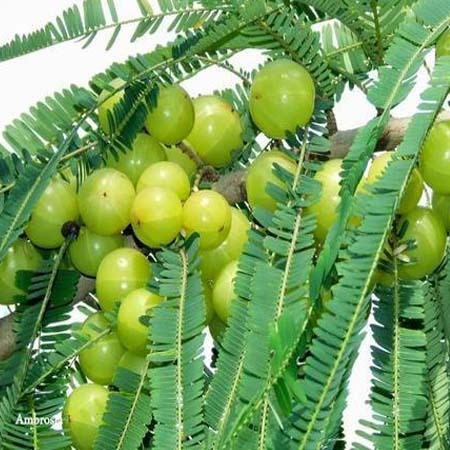 Description : Amla is also known as amalaki,Indian goosebery.its botanical name is Phyllanthus emblica.In ayurveda it is characterized under rasayana.rasayana are the herbs which are used for longitivity of life.According to ayurveda amla is a wonder drug as it posses all six rasas (madhur,amla,lavana,katu,tikta,kashaya).it has a very unique nature that in any form it never looses any of its property so it can be consumed in anyway as suitable like churna,murabba,sharbat,juice. -Amla is rich source of vitamin C.
-It helps in improving immunity. -It is used as an antioxidant. -It is good for digestion. -It strengthen liver and helps to remove toxins. -It is useful in skin disorders. -It is helpful in hair growth. -It is helpful in reducing menstrual cramps. one table spoon with water empty stomach.